The Sanya Transportation Bureau is planning to introduce an intelligent transport system that is more efficient and more financially sustainable for communities and the traveling public, reports hinews.cn. 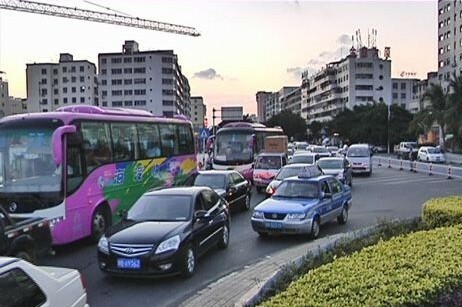 Several big cities like Guangzhou, Beijing and Shanghai have proven the benefits of an intelligent transport system (ITS) put in place such as connected vehicle sensors which detect changes in traffic conditions and adjust signal timing accordingly. As Sanya’s transport system is facing many challenges, the strengthened transport system is needed to modernize today’s infrastructure and optimize existing capacity. Experts said the new transport system can monitor and predict traffic patterns on roads and use analytics to provide real-time traffic information. In the near future, Sanya can make better use of the system to monitor the distribution patterns of taxis in hotels as well as scenic spots to effectively ease the taxi shortage in the downtown center.